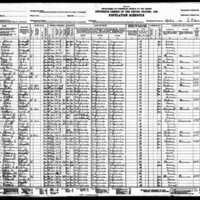 The 1930 Census, includes more information about Reuben Nash and the relationship to his neighbors the Bramells and the Pattersons. The census indicates Ralph Nash to be the son of Reuben and Mary C Nash. 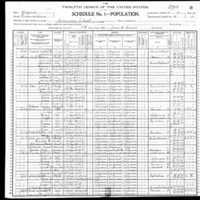 The 1900 Census record shows that Reuben Nash is now the head of his household. He is married to Mary C Nash (Mary Penny Nash). They have several children and live near the Patterson family. It notes that the Nash Family are African American. 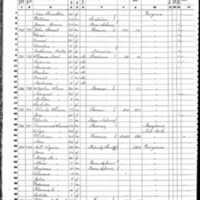 The 1860 US census record for Occoquan Virginia. 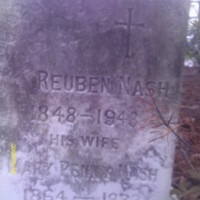 Gives information about Reuben Nash, including his age, the size of his family, and who his neighbors were. 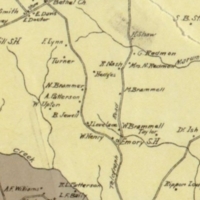 Map of Prince William County in 1901. Shows the geographic relationship of Reuben Nash and the Hedges and Brammell families. 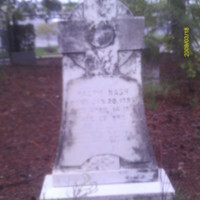 Headstone Ralph Nash, who died of Typhoid fever in Washington DC at the age of twenty-two. Most likely William R Nash , son of Reuben Nash and step son of Mary Penny Nash, see census records for details. 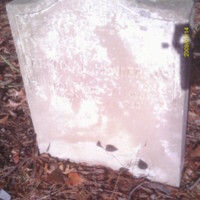 Headstone of Leureaner N. Harris. Relationship to Nash, Bramell, Patterson, and Hedges families unkown. 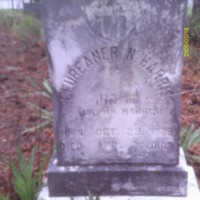 text: "Leureaner N. HARRIS, wife of Joseph Harris. Born Oct. 29, 1888. Died Apr 2, 1907"
Headstone of Erston L. Henderson. Relationship to Nash, Bramell, Patterson, and Hedges Families unkown. text: "Erston L. Henderson. Born Aug 30, 1930. Died Oct. 21, 1930." 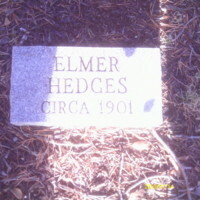 Headstone of Elmer Hedges. Most likely related to Charles R. and Charles E. Hedges and neighbor of Reuben Nash. 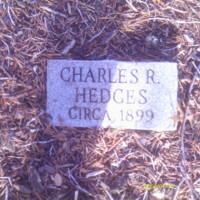 Headstone of Charles R. Hedges. Most likely related to Charles E. Hedges and Elmer Hedges and a neighbor to Reuben Nash. text: "Charles R. Hedges circa 1899"